Many organizations, institutions and governmental bodies (state and local governments, the federal government, and various agencies) use a position/employee grade-leveling system that helps differentiate between positions and standardize compensation across equivalent skill sets and responsibilities. The creation and maintenance of a system of standardized employee grade levels help ensure fair compensation for the same level of work across different departments and divisions. Consider, a typical software firm that employs programmers, testers, support specialists, sales representatives, marketing specialists, project managers, human resource managers, accountants and so forth. It would be challenging to ensure consistent and fair compensation across these many different roles without creating some form of standardization mechanism. 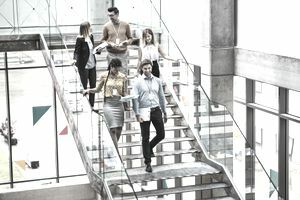 Factor in the reality that for every position title, there are varying levels, including junior or senior roles for managers and individual contributors and you can imagine the potential for confusion without an organized system. The position or employee grade level system does just that. Here are examples of employee grade level descriptions from individual employees up to the Vice President level. Work under close supervision (generally). Typically have very little decision-making ability. Have no budgetary responsibility or ability to spend without approval. Require (typically) less than three years of relevant experience. Make decisions based on established procedures. May have nominal budgetary responsibility or ability to spend. Require three to five years (typically) of relevant experience. Work to specific measurable objectives (generally) requiring operational planning skill with little direct supervision. Have considerable latitude for making decisions within their unit. Have involvement in the hiring, development, and related personnel processes. Require five to seven years of relevant experience. Work to broad goals for their area of responsibility. Have significant latitude for making decisions for their operational or functional units. Have hire/fire authority over team members. Have direct expense responsibility for significant departmental or unit budgets. Require eight to ten years of relevant experience. Give strategic guidance to the units under their control. Develop and direct short and near-term goals for their units. Exercise broad decision-making latitude within their functional units. Have complete budgetary control over the functions under their control. Make use of essential people skills, including the ability to develop subordinates. Require more than 10 years of relevant experience. The above position grade levels will be governed by a set of compensation parameters described as a compensation grade level. Every different position level will have its own range of salary, from low to high. Additionally, there may be several layers of the compensation grades where the low, high and midpoint salaries vary from level to level. Consider that the Level C Managers category may include junior manager, manager, and senior manager designations, all with their own compensation ranges. Describe the nature, scope, and responsibilities of the new role in detail. Define the criteria for education and background experience required for the role. Evaluate the budgetary and decision-making authority of the role. Look at the expected career progression for the position. Compare the role to others in the department. Compare the role and job parameters to outside examples. Once the above is completed, the human resources executive would decide which level the position falls into. After this position leveling is resolved, the compensation matrix would be applied and low, mid and high point positions for compensation would be documented. Marketplace compensation data for equivalent positions in similar industries would be used to compare the internal assessment to the external realities. This detailed and involved process helps ensure consistency for the treatment of all employees, regardless of their functions or primary vocations.